Thank you for choosing Pillitteri Estates Winery for your custom gifting program. From custom labels to elaborate baskets and everything in between, we can create something special that has been personalized to suit your personal or corporate needs. Share your ideas with us and we will turn them into reality with award winning VQA wines. Whether you are planning a wedding, an anniversary, a corporate event or a fundraiser we can help put your stamp on the event with privately labelled wine to suit the occasion. From rich, full-bodied reds, fragrant and lively whites, and luscious Icewines there is a wine for every occasion and menu. We also have an incentive for bulk orders and we can help you plan the wine requirements for your event. Please contact Sharlene Wilson at winery@pillitteri.com or 905-468-3147 or fill out our CONTACT FORM to discuss your custom wine needs for pricing and more options. Perfect for weddings, anniversaries and even corporate events. Choose from a variety of existing wine label templates, create your own art or have our creative team help you design a label that will work for you. Choose from any of our wines to use. Our designers will work with your brand or logo and develop a label that suits your needs. 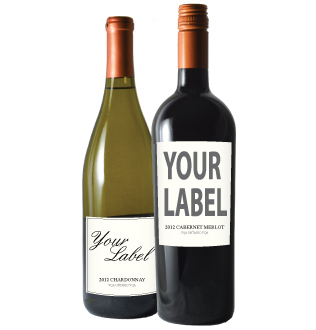 We can also work with your label designs and modify them to meet government wine labeling requirements. Call or email for more information.